An Irish whiskey guru, two bartender behemoths, and an adept writer combine forces to create this comprehensive guide to Irish whiskey. The book begins with an in-depth introduction to whiskey and its history in Ireland, including what makes each style of Irish whiskey unique. What follows is a detailed tour, including photographs, around the four Irish provinces, and of the 22 different distilleries and the unique Irish whiskeys each produces, as well as a discussion of the booming present and promising future for Irish whiskey producers. Each province also highlights the best of Ireland's 50 iconic bars and pubs, linking past to present and providing the ultimate whiskey tourist itinerary. The fun really begins when the masterminds behind 2015’s “World’s Best Bar,” Dead Rabbit Grocery and Grog, share 12 original mixed-drink recipes tailor-made for Irish spirits. 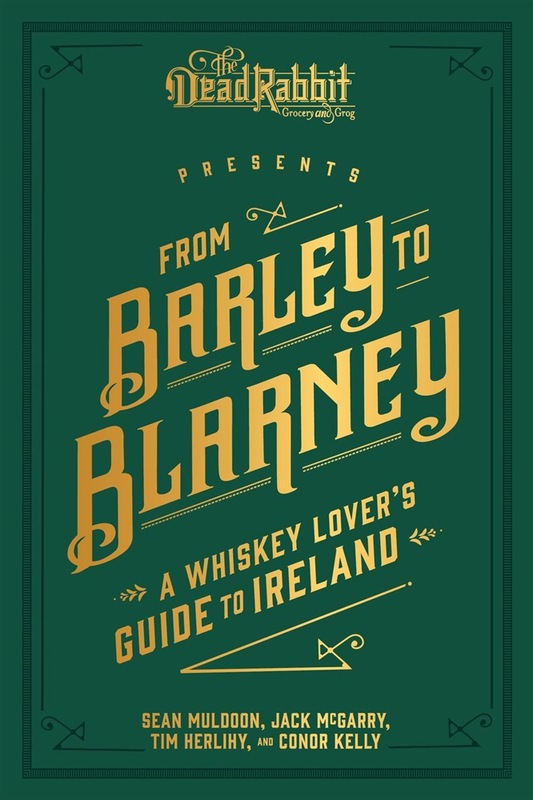 Acquista From Barley to Blarney in Epub: dopo aver letto l’ebook From Barley to Blarney di Jack McGarry, Sean Muldoon, Tim Herlihy ti invitiamo a lasciarci una Recensione qui sotto: sarà utile agli utenti che non abbiano ancora letto questo libro e che vogliano avere delle opinioni altrui. L’opinione su di un libro è molto soggettiva e per questo leggere eventuali recensioni negative non ci dovrà frenare dall’acquisto, anzi dovrà spingerci ad acquistare il libro in fretta per poter dire la nostra ed eventualmente smentire quanto commentato da altri, contribuendo ad arricchire più possibile i commenti e dare sempre più spunti di confronto al pubblico online.